The Welsh game plan came to a grinding halt during the autumn, especially during the first three games. The current Welsh back-line is blessed with three enormous specimens in North, Roberts and Cuthbert. They are very good individuals and have, over the past 12 months, made some impressive line breaks and gained substantial metres. But this autumn it hasn’t worked. Wales’ use of strike runners in the 10-12 channel is no longer a surprise to the opposition; it is expected. It’s like playing paper, scissors, stone and always choosing stone; eventually you get wrapped up by paper – or in this case an umbrella defence. The trouble is that the 10-12 channel is no longer solely defended by the opposition’s 10 and 12 – modern back-rows are quick enough to sweep behind this channel. This is where the problem lies. North, Roberts and Cuthbert are big when compared with the opposition’s backs; they are not big when compared with international back-rows. The size of Wales’ back-line is undoubtedly a strength, but only when it is being used against the opposition’s weakness. Currently it is not. Wales’ major concern prior to the autumn was the absence of Adam Jones. As it turned out it wasn’t really a problem. I’m not saying Wales excelled without Jones on the tighthead, but they didn’t exactly struggle at the scrum. Barring a few shaky second-half scrummaging performances from Aaron Jarvis, the Welsh scrum has not been a big concern. Scott Andrews has been particularly assured – his scrummaging has been of Test standard and, on occasions, so has his ball-carrying. It may seem like sacrilege to say that the Welsh scrum functioned without Jones, but it did. Think back over the past four weeks: who are the injured Welsh players that pundits, writers and supporters have lamented the loss of? Dan Lydiate’s name has cropped up regularly; Adam Jones? Not so much. This season, in particular, has seen Welsh supporters complain about the number of games that Wales play and the expense of going to watch them. However, without these Internationals rugby in Wales wouldn’t survive. The game in Wales is funded from the top. Without Test rugby the regional game would find itself in an even deeper crisis. There are of course a myriad of theories on how the finances in Welsh rugby can be revived, but at the crux of them all is the need to make profit. In many ways paying excessive ticket prices to see Wales play a game outside the international window is like buying a raffle ticket in your local rugby club. You blindly hand the money over, every week, without thinking about it, and hope that your contribution will somehow benefit your team. If Welsh supporters want central contracts, they may have to buy more ‘raffle’ tickets. Wales have had a poor autumn – there is no denying it. They have slipped from top-four contenders to ninth in the world. 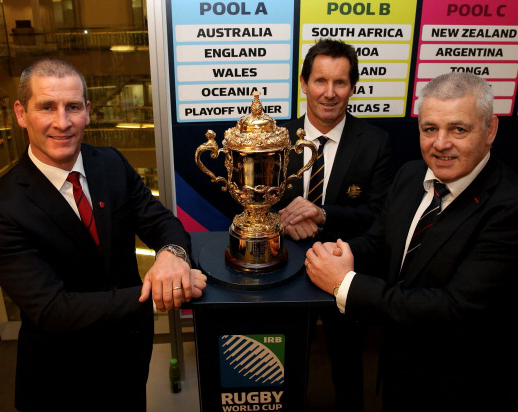 They have subsequently found themselves in the ‘Group of Death’ for RWC 2015. Except that for Wales it isn’t the group of death. Wales have avoided the All Blacks and the Springboks, and are in a group with two teams that they are very comfortable with. 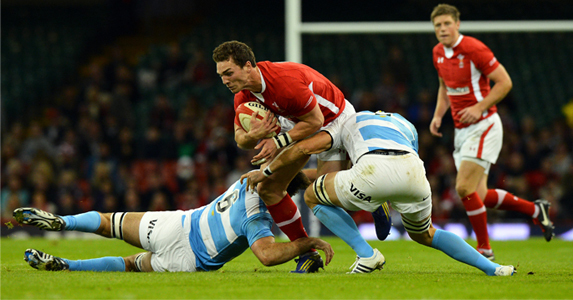 Wales have also avoided being drawn against a ‘banana skin’ – historically teams such as Samoa and Argentina. This time Wales are the banana skin. In fact, if you’re Australia or England, Wales must look more like a skid pan. Last weekend the Ospreys played Cardiff Blues on the eve of Wales v Australia. It was a reasonably entertaining game. There were some good skills on show and a fine array of young Welsh players in the line-ups, but it was hardly a Welsh derby. All of the international players were still in the Welsh camp, the majority of people had already spent their hard-earned money on tickets to see Wales play the following day and those who did attend probably treated it as an hors d’oeuvres for the main course on Saturday. Regional rugby currently has few jewels in the crown, so let’s not kick ourselves in the crown jewels – play the derby fixtures on appropriate dates.